the support for DWG format is still very basic in LibreCAD. I assume there are unsupported entities in the file which let the DWG import library crash. If possible you can upload the file here or send it private to me by mail, then we can use it to investigate the issue. 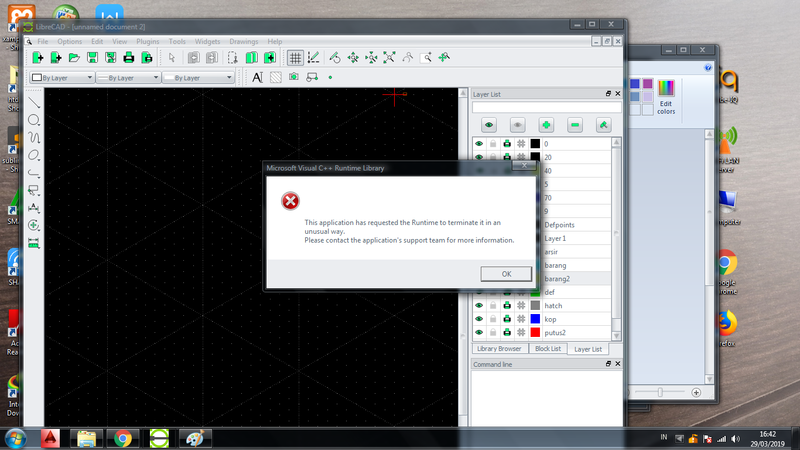 You can try to find a DWG to DXF converter and see if this works, then LibreCAD should be able to open the DXF file. Off the top of my head I think Theiga converter is often mentioned for this, but I can't say if this is actual and if it is still free.